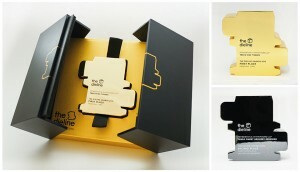 P&W Receives Dieline Award Trophies! We have finally received our Dieline trophies, which we won back in May! 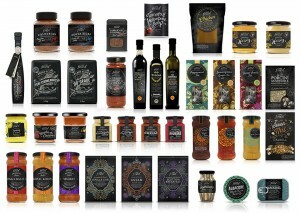 P&W won a first place award in the ‘Personal Care’ category for Tesco Kid’s Tissues and a second place award in the ‘Dairy, Spices, Oils, Condiments’ category for our Tesco Finest* Grocery Redesign. The winners of the global awards were announced back on 4th May at HOW Design Live, the largest annual gathering of creative professionals in the world. 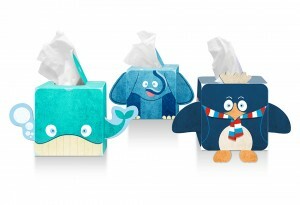 Our range of novelty tissue packs, designed for Tesco, is suitable for children and teenagers. When dispensed, the tissues interact with the box (e.g. the water blowing from the elephant’s trunk). The combination of lively illustrations and the vivid colour palette results in a unique look and strong shelf standout in a crowded market. The latest phase of Finest* differed from previous evolutions in that each individual pack was handcrafted, with meticulous attention to detail, while striking a careful balance between individuality and continuity, resulting in a truly bespoke, artisan range. (Take a look at some of the work we have produced for Finest* over 15 years). Every component of the packaging design was thoughtfully considered: whether it be hand rendered typography, exquisite illustration, calligraphic decoration or mouth-watering product photography. All substrates were assessed and selected to enhance the designs and optimise the final result.